Many people ask me about the modular classroom design - in particular if there are ways to improve the acoustics. My answer is always YES! 1. Request a quiet HVAC system. Bard has its wall mounted QuietClimate series for example. 2. Inquire about upgrading from the standard windows and doors to bring more daylight in, keep weather out, dampen noise and reduce energy costs. 3. Request carpet floor covering in place of the typical vinyl tile. Carpet dampens noise. 4. Inquire about upgrading ceiling tiles. There are tiles available that dampen noise and improve insulation - both are worthy reasons for upgrading. 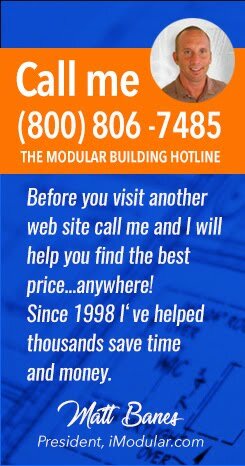 If you have questions about modular classroom design or would like to connect with a local modular supplier call me (Matt Banes) any time, nationwide at (800) 806-7485 or contact us via email.